Continuing his analysis of Donald Trump’s policy in the Greater Middle East, Thierry Meyssan demonstrates that, contrary to current opinion, the US President has not changed his strategy. Breaking with his predecessors, he is attempting to cut off Pakistani support for the jihadists in Afghanistan, just as he did with the role of Saudi Arabia for the jihadists in the Levant. Here, the author explains that although some of Trump’s electors may be worried when they see him deploying more troops, they should logically approve his decision. In apparent contradiction with his campaign promises, President Trump announced that he is deploying reinforcements in Afghanistan. President Trump’s project to reorient US foreign and military policy from imperialism to cooperation is beginning to bear fruit. Since his speeches in Riyadh and Brussels last May, almost all Muslim states (with the exception of Pakistan, Qatar, Sudan and Turkey) have ceased supporting the bevy of jihadist groups born of the Muslim Brotherhood. Simultaneously, NATO has made a 90 degree turn and has also begun to fight the jihadists which, until now, it had been supporting on several theatres of operation. But while the situation has considerably improved over the last three months in Iraq, Libya and Syria, it continues to deteriorate in Afghanistan. Let’s remember that, contrary to the reassuring declarations by Presidents Bush Jr. and Obama, the presence of NATO forces over the last 16 years in this country has not only failed to eradicate the Taliban, but has made the daily life of the civilian population ever more precarious and dangerous. Today, there are more deaths due to terrorist attacks and combat than before, whether during the Communist period or that of the Islamic Emirate. So everyone was waiting for Donald Trump’s decisions concerning this country. The United States were shocked by the revelations of Michael Hastings about the management of Afghanistan . They concluded that, contrary to consensual rhetoric, the primary cause of the current problems facing Afghanistan is the prolonged presence of the US armies. This idea was vulgarised by David Michôd’s film War Machine, which brought the work of Hastings to the screen. We see General Stanley McChrystal (played by Brad Pitt) explaining to the peasants that he wants to « … win their hearts and minds » by … killing their neighbours. In this context, the US Press – and by mimicry, the Press of other Western countries – welcomed the announcement of the deployment of reinforcements to Afghanistan as a turnaround by Donald Trump, and his alignment with the policy of his predecessors Bush Jr. and Obama. It is a fact that during his campaign, he had announced his intention of extracting his troops from Afghanistan. First of all, this is an error of interpretation by US opinion, and then a further error concerning President Trump’s objective. Fashionable commentators have never admitted Donald Trump’s anti-imperialism, and have interpreted his policies as isolationist, which they are not. A study by professors Douglas Kriner and Francis Shen, published in June, establishes that the electoral districts which voted most heavily for Trump were those which had suffered the greatest number of deaths in Afghanistan and in Iraq . Popular support for the President of the United States would therefore have little to do with the revolt of the « under-privileged white classes », as we are constantly being told, but with the depression of those families who have lost children, who left with a generous commitment to establish democracy and died overseas installing chaos. The electors of Donald Trump are not « isolationists ». They are perfectly capable of assuming the deployment of reinforcements to Afghanistan as long as they understand and share its aim, which is to say that Washington changes its policy. 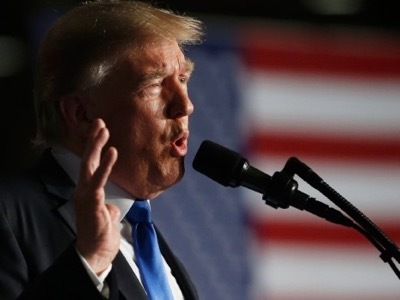 In a speech to his troops, broadcast live on TV on the evening of 21 August, President Trump explained his strategy, which is to cut off all state support for terrorism . Specifically, concerning Afghanistan, to cut off Pakistani aid for jihadists in general and the Taliban in particular. From his side, National Security Advisor General H.R. McMaster declared to the Press that the Trump administration has no desire to remake Afghanistan into a « state in the image of the USA », but to respect its culture – a way of putting an end not only to the fantasies of General Stanley McChrystal, but also to the manipulations of the CIA. The commander of US and NATO troops in Afghanistan, General John W. Nicholson, indicated that he had no instructions to fight the Taliban, but to reintegrate them into civil life . Let us note that President Trump has confided this mission to his troops, not those of NATO. He could have asked for their participation, but did not do so, an indication that he is not sure of the will of his allies. In order to give an identity to Pakistan, which the British had separated from India by brandishing the menace of a Hindu religious state, the CIA sent one of its agents, Saïd Ramadan. He spread the doctrine of the Muslim Brotherhood, then, with the help of Abul Ala Maududi, constituted the militia of Jamaat-i-Islami, which drew up the Pakistani constitution. When National Security Advisor Zbigniew Brzeziński decided to overthrow the Communist Afghan government, he called on the Muslim Brotherhood, who sent Oussama Ben Laden and his mujahidins. Simultaneously, he overthrew Zulfikar Ali Bhutto and placed in power General Muhammad Zia-ul-Haq – a member of Jamaat-i-Islami, the local branch of the Muslim Brotherhood . Since then, and despite several upheavals, Pakistan has always offered a rear base for the jihadists, not only for their actions in Afghanistan, but also for the rest of the world. However, because of their continued participation in the Anglo-Saxon double game, the Pakistani state has weakened. Reacting to this disintegration, China launched a vast programme of aid for Pakistan. It has planned to invest 50 billion dollars in Afghanistan. 3,000 Chinese are rapidly building the Pakistani portion of the « Silk Road », while Beijing is arming the country. US influence is therefore clearly diminishing, despite the 30 billion dollars they have already invested since Bush Jr.
Over the last few months, Islamist Prime Minister Nawaz Sharif (successor to General Zia-ul-Haq) has been called into question after the political about-face of his sponsor, Saudi Arabia. He was brutally impeached for tax evasion on the testimony of the Panama papers, after he had released false documents in an attempt to justify himself. He was « temporarily » replaced by Shahid Khaqan Abbasi, whose father-in-law directed the Pakistani secret services in the days of the secret war against the Afghan Communists. Reacting to the speech of President Trump, Abbasi hastened to Riyadh, on 23 August, where he was received by Prince Mohamed ben Salmane. The de facto sovereign of Saudi Arabia gave him instructions to cooperate with Washington – a position immediately confirmed by the Pakistani ambassador in Washington . It is unlikely that Nawaz Sharif’s brother, Shehbaz Sharif, will be nominated as Prime Minister in September, despite the engagements of one and the other. On the contrary, Shahid Khaqan Abbasi should maintain his position at least until the general elections in 2018, with the double support of Saudi Arabia and the United States. In the next few months, we shall see whether or not he will keep his promises facing the jihadists. From the Pakistani point of view, events are difficult to manage – in 1893, Sir Mortimer Durand traced the frontier between Afghanistan and today’s Pakistan by dividing the Pashtun tribes between the two countries. During the secret war against the Afghan Communists, the Anglo-Saxons encouraged the Pakistani secret services to rely on this ethnic group, from which the Taliban were born. Consequently, when India attempted to play a role in this theatre of operations, it relied on the non-Pashtun people, mainly the Tadjiks. Considering that if Pakistan were to distance itself from the United States, India may move away from Russia and turn to Israël (which has become its primary supplier of weapons), Donald Trump did not fail to appeal to New Delhi to bring pressure to bear on Islamabad . This brief overview of the facts enables us to conclude that President Trump has not changed his strategy and adopted the policy of Bush Jr. and Obama. He pursues his own plan against the jihadists without deviation, in obvious concertation with Moscow and Beijing. “The Runaway General”, Michael Hastings, Rolling Stone, June 22, 2010. The article forced President Obama to fire General Stanley McChrystal. The Operators: The Wild and Terrifying Inside Story of America’s War in Afghanistan, Michael Hastings, Plume, 2012. Hastings died on 18 June 2013 in San Francisco. He was driving a Mercedes C250 Coupé, apparently lost control and crashed into a tree. He was investigating for a story about CIA Director John Brennan. His notes were never found. “Battlefield Casualties and Ballot Box Defeat: Did the Bush-Obama Wars Cost Clinton the White House?”, Douglas Kriner & Francis Shen, SSRN, June 19, 2017. “Remarks by Donald Trump on the Strategy in Afghanistan and Pakistan”, Donald Trump, Voltaire Network, 21 August 2017. “Gen. Nicholson explains what new U.S. South Asia policy means for mission in Afghanistan”, John W. Nicholson, Nato, August 24, 2017. Sous nos yeux. Du 11-Septembre à Donald Trump, Thierry Meyssan, éditions Demi-Lune, 2017. “Pakistan’s ambassador: We want to work with Trump to end war in Afghanistan”, Waseem Abbasi, USA Today, August 23, 2017. “Has Narenda Modi Switched Sides?”, by F. William Engdahl, New Eastern Outlook (Russia) , Voltaire Network, 28 August 2017.